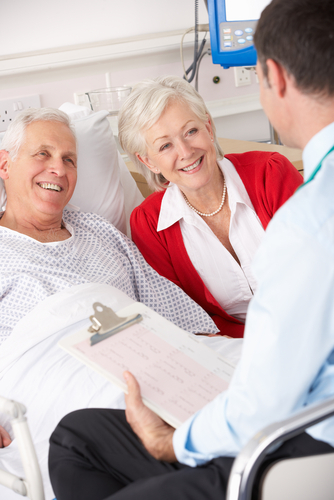 Following your physician’s instructions after surgery will help you heal quickly and safely. Before you leave the hospital, your surgeon or physician’s assistant will answer your questions about home care and provide you with specific instructions to follow for your procedure. Below are some general guidelines. Most importantly, keep your incision clean and dry. Do not shower or bathe until your surgeon says it’s okay. And, f you have a dressing, tube or drain, keep it clean and dry, too. Your surgeon may also instruct you to keep your incision higher than your heart when you sit, rest or sleep. This can help reduce pain and swelling. A slightly red, swollen incision is normal, and so is some bleeding or discharge. However, if redness, bleeding or swelling increases or your incision smells bad or is warm to the touch, you may have an infection. If you notice any of these, call your surgeon. Fever can also signal infection, so take your temperature twice daily. If your temperature stays above 101 degrees, call your surgeon. You may have pain after your surgery. Pain medication prescribed by your physician will help you feel better and heal more quickly. Take it only as directed before pain gets worse; don’t take it more often than prescribed or drink alcohol while you are taking it, which can make you dizzy or slow down your breathing. Taking it before bedtime may help you sleep. Be sure to drink plenty of fluids and eat fiber as pain medication may cause constipation. You can also ask your surgeon about heat, ice and other ways to control pain. Remember: healthy eating helps your body to heal naturally. You may have nausea right after surgery, so eat what seems good to you. At first, you may only want liquids (tea, soda and clear soup). When you are ready, eat soft foods like mashed potatoes or applesauce. Then try high protein solid food, beans, yogurt, fish or chicken. Avoid fatty foods, which will stay in your stomach longer. Also drink plenty of liquids (at least six to eight glasses of water a day), which will make you feel better. You will likely feel tired after surgery. Get plenty of rest and allow your body to heal. Become more active slowly. Walking does speed up healing so walk around as much as you can. To help you clear your lungs and prevent pneumonia, follow your surgeon’s directions about deep breathing and coughing. After minor surgery, breathe deeply and cough regularly for one to two days. After major surgery, breathe deep and cough regularly until the pain from your incision is gone. Use a pillow to support your incision when you cough. If you were given a spirometer, use it as advised.